A defendant being sued for negligently causing a car crash or other negligent behavior has certain defenses he or she can assert. From the outset, a defendant can claim he or she is not responsible or at fault for the accident. This is the “I did not do it” defense, an ordinary defense to negligence. However, even if the defendant did cause the accident or is at fault, the law provides defenses that relieve the defendant from responsibility. These defenses are called “affirmative defenses.” These defenses are “Yes, I did it, but the law says I can’t be punished for it” defenses. We will look at each affirmative defense to negligence below. The statute of limitations tells us how long a person has to sue another person for a specific claim. Different types of claims have different timelines. A defendant using this affirmative defense is claiming the plaintiff missed his or her deadline to file the lawsuit. 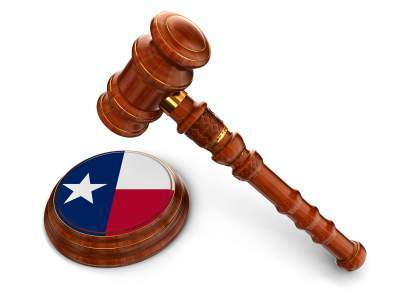 In Texas, a personal injury claim involving negligence typically must be filed within 2 years after the accident. However, in limited situations, a court can extend that deadline based on certain case facts. This affirmative defense is often used when the plaintiff expressly and knowingly agreed to engage in a specific dangerous activity or to being exposed to a risky condition. Using this affirmative defense, a defendant is claiming the plaintiff was also negligent and contributed to the accident and injury. If the defense applies, a jury or judge will determine how much at fault each party is. This will be written as a percentage of damages each party will ultimately have to pay. In certain situations, a defendant may claim the plaintiff released the defendant from responsibility or waived his or her right to sue for injury. This affirmative defense often involves a contract in which the plaintiff signed away or waived certain legal rights. A common example would be signing a lawsuit settlement. By signing the settlement, a plaintiff is releasing his or her rights to sue later. This affirmative defense generally involves a defendant claiming the parties have already fully tried a lawsuit that involved the same accident or injury. Res Judicata typically requires plaintiffs to bring certain claims all at once. Plaintiffs are usually barred from filing multiple lawsuits against the same person when those lawsuits involve the same underlying facts or claims.